My favourite film of all time? 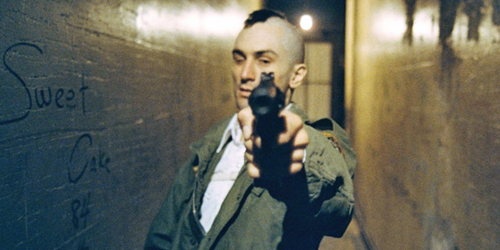 Yes we are talking about my no.1 film of all time, and it is one and only Martin Scorsese's epic Taxi Driver. I have already written about it as "A Film That Changed My Life". It not only is my favourite film of all time, if you read the article mentioned, it is a film that after watching I knew I wanted to be a filmmaker, as simple as that. Taxi Driver is one out of the only two films that I have watched 15+ times. The other one is Gangs Of Wasseypur. This film is in other words in a way the best film I ever saw. I have seen about 2000 films over the last few years and naming one film is certainly a very difficult task, but for me it was always a toss up between The Godfather & Taxi Driver, but in the end this had to be the one. The one that changed it all. This film speaks me like no other film does, I mentioned this with Peeping Tom, but Taxi Driver is the film which I can relate to a lot. As being an introvert, and I watched the film at a time that I understood what is loneliness. 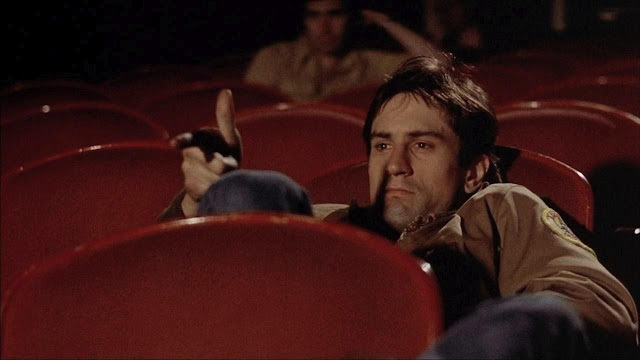 For me this film, right from the first viewing I knew, it isn't about crime, it is about the character of Travis Bickle and another character which is a city, but Martin Scorsese showcased it as a character in the film, which is New York. Viewing after viewing this film has grown on me, every time I set to watch Taxi Driver, there is a happiness which can't be described in words. The quotes of the film, I remember them all, this is full of brilliant writing from the great Paul Schrader, with an extra-ordinary direction from Martin Scorsese and steller performance from Robert Di Niro. This is also the film, that I know the whole script in other words, I just remember each and every scene. And, while watching I simply can tell which scene is gonna come next. So, my love for the film goes that beyond. In the end, it has been lovely writing all the ten parts in My Favourite Films Series (though technically, two of them are left as I decided to do a twelve part series later). Taxi Driver has it all what I love about cinema, and what else could I say about it, it is My Favourite Film Of All Time! So thank you Martin Scorsese for creating such a masterpiece and being a huge inspiration for me. Hope you enjoyed my tenth instalment in favourite films series!